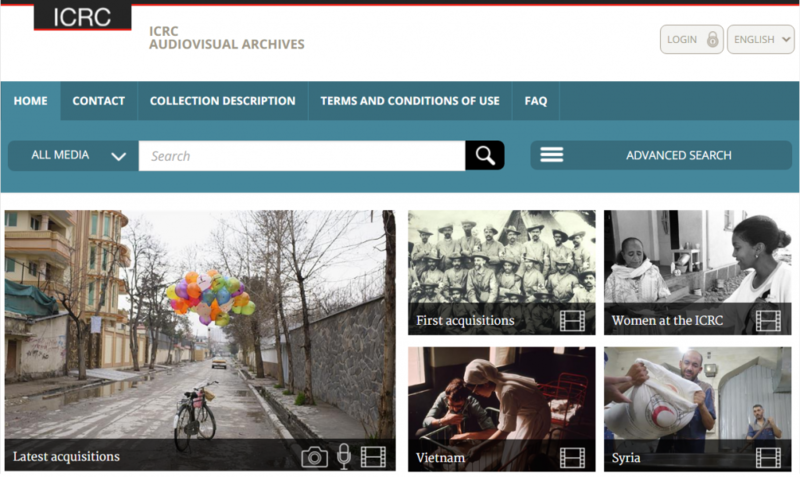 An audiovisual treasure chest containing thousands of ICRC photos, films/videos and audio recordings documenting the ICRC past and present is now opened to public. This new online platform, aimed at anyone curious to find out more about the audiovisual history of this 153 years humanitarian institution’s history, will give the public direct access to an amazing material illustrating the ICRC activities and operations from the end of the nineteenth century till the present day. The new platform, which is available in English and French, contains more than 93,000 digitized and downloadable photos, around 1,700 films and videos and over 1000 audio recordings. Although some foreseen digital versions of videos are not attached yet to the online records, their integration is ongoing. The portal really is a study in simplicity: Say, for example, you want to look at photos of ICRC activities in Ethiopia. Just a couple of clicks will take you to a database of some 900 photos dating back to 1935. You can search by year, country/region, keyword and person. There are even Red Cross radio programs to listen to and a selection of films dating back to 1921. On the portal’s homepage at the moment is a collection called “First acquisitions,” which, as the title suggests, contains some very rare material including several silent films from 1923 about the Greco-Turkish War. Users have to register and should open easily an account where they can download and store all photos, films/videos or audio recordings they wish, as far as they apply a common sense of respect for the victims and human dignity. The documents in the archive correspond to the times in which they were created: They may not reflect the ICRC’s current editorial line.